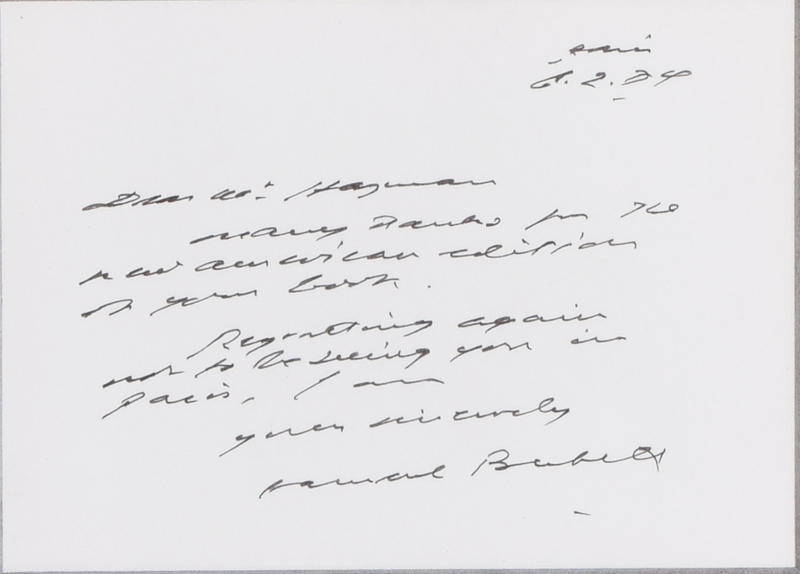 Samuel Becket, Uncommon ALS letter, signed “Samuel Becket,” one page, 6 x 4, June 2, 1984. In part it is a Thanking Robert Hayman for the new American edition of his book and apologizes for not be able to receive him in Paris. 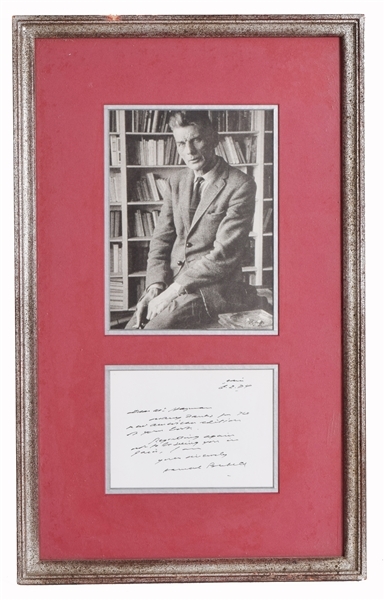 Ronald Hayman (4 May 1932 – 20 January 2019) was a British critic, dramatist, and writer who was best known as a biographer, who did write a exposes on Samuel Beckett.framed with photo 11-1/2"h x 5-1/8"w Samuel Barclay Beckett was an Irish novelist, playwright, short story writer, theater director, poet, and literary translator who lived in Paris for most of his adult life. He wrote in both English and French. 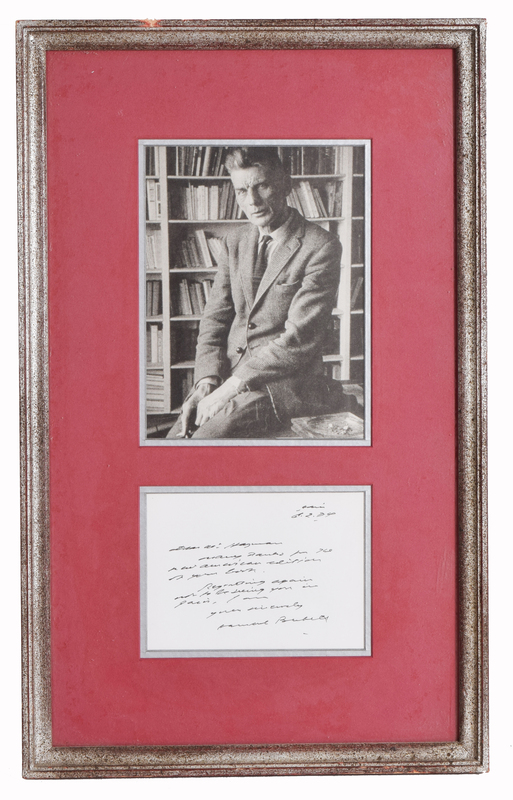 Beckett was awarded the 1969 Nobel Prize in Literature "for his writing, which—in new forms for the novel and drama—in the destitution of modern man acquires its elevation"